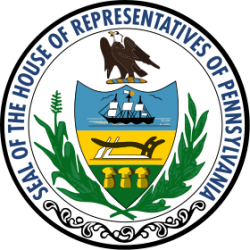 HARRISBURG – Speaker of the House Mike Turzai (R-Allegheny County) announced the appointments of both Republican and Democratic committee chairmen for the 2017-18 Legislative Session. Republican: Rep. Tim Hennessey, 26th Legislative District, Chester and Montgomery counties.Democrat: Rep. Steve Samuelson, 135th Legislative District, Northampton County. Republican: Rep. Martin Causer, 67th Legislative District, Cameron, Potter and McKean counties.Democrat: Rep. Eddie Day Pashinski, 121st Legislative District, Luzerne County. Republican: Rep. Kathy Watson, 144th Legislative District, Bucks County.Democrat: Rep. Scott Conklin, 77th Legislative District, Centre County. Republican: Rep. Brian Ellis, 11th Legislative District, Butler County.Democrat: Rep. W. Curtis Thomas, 181st Legislative District, Philadelphia County. Republican: Rep. Robert Godshall, 53rd Legislative District, Montgomery County.Democrat: Rep. Thomas R. Caltagirone, 127th Legislative District, Berks County. Republican: Rep. Dave Hickernell, 98th Legislative District, Lancaster and Dauphin counties.Democrat: Rep. James Roebuck, 188th Legislative District, Philadelphia County. Republican: Rep. John Maher, 40th Legislative District, Allegheny and Washington counties.Democrat: Rep. Mike Carroll, 118th Legislative District, Luzerne and Lackawanna counties. Republican: Rep. Bernie O’Neill, 29th Legislative District, Bucks County.Democrat: Rep. Jake Wheatley, 19th Legislative District, Allegheny County. Republican: Rep. Keith Gillespie, 47th Legislative District, York County.Democrat: Rep. Bryan Barbin, 71st Legislative District, Cambria and Somerset counties. Republican: Rep. Scott Petri, 178th Legislative District, Bucks County.Democrat: Rep. Patrick Harkins, 1st Legislative District, Erie County. Republican: Rep. Matt Baker, 68th Legislative District, Bradford, Potter and Tioga counties.Democrat: Rep. Florindo (Flo) Fabrizio, 2nd Legislative District, Erie County. Republican: Rep. Gene DiGirolamo, 18th Legislative District, Bucks County.Democrat: Rep. Angel Cruz, 180th Legislative District, Philadelphia County. Republican: Rep. Tina Pickett, 110th Legislative District, Bradford, Sullivan and Susquehanna counties.Democrat: Rep. Tony DeLuca, 32nd Legislative District, Allegheny County. Republican: Rep. Ron Marsico, 105th Legislative District, Dauphin County.Democrat: Rep. Joseph A. Petrarca, 55th Legislative District, Armstrong, Indiana and Westmoreland counties. Republican: Rep. Rob Kauffman, 89th Legislative District, Franklin County.Democrat: Rep. John Galloway, 140th Legislative District, Bucks County. Republican: Rep. Adam Harris, 82nd Legislative District, Franklin, Juniata and Mifflin counties.Democrat: Rep. Paul Costa, 34th Legislative District, Allegheny County. Republican: Rep. Kate Harper, 61st Legislative District, Montgomery County.Democrat: Rep. Bob Freeman, 136th Legislative District, Northampton County. Republican: Rep. Mark Mustio, 44th Legislative District, Allegheny County.Democrat: Rep. Harry Readshaw, 36th Legislative District, Allegheny County. Republican: Rep. Daryl Metcalfe, 12th Legislative District, Butler County.Democrat: Rep. Greg Vitali, 166th Legislative District, Delaware and Montgomery counties. Republican: Rep. David Millard, 109th Legislative District, Columbia County.Democrat: Rep. Mark Longietti, 7th Legislative District, Mercer County. Republican: Rep. John Taylor, 177th Legislative District, Philadelphia County.Democrat: Rep. William F. Keller, 184th Legislative District, Philadelphia. Republican: Rep. Mark Keller, 86th Legislative District, Cumberland and Perry counties.Democrat: Rep. Michael O’Brien, 175th Legislative District, Philadelphia County. Republican: Rep. Stephen E. Barrar, 160th Legislative District, Chester and Delaware counties.Democrat: Rep. Christopher Sainato, 9th Legislative District, Lawrence County.